Fracking involves drilling vertically into the shale formation and then horizontally for a given distance to cover a wide area around the fracking pad on the surface. The bore pipe is perforated and water, chemicals and sand are injected at very high pressures to fracture the surrounding rock, mobilising the gas. The sand holds the fissures open to allow the gas to percolate to the surface. Operationally this requires a lot of surface activity involving plant and engineering work, large volumes of water, water storage, water treatment and disposal, together with treatment, storage and removal of gas and possibly electricity generation. Fracking may be necessary for Coalbed Methane production. Fracking is necessary for Shale Gas extraction. This video shows the fracking process for Shale Gas and highlights some of the problems which can be associated with it. 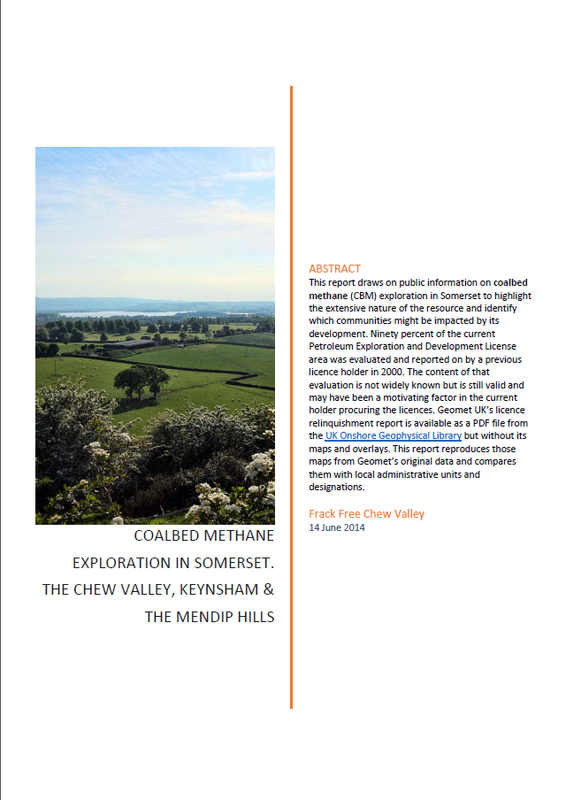 As reported by Transition Keynsham and Frack Free Somerset, UK Methane may use fracking in their operations in Kent but they do not consider it necessary for Coalbed Methane near Keynsham for the next 2 to 3 years, although it would probably be necessary in future.